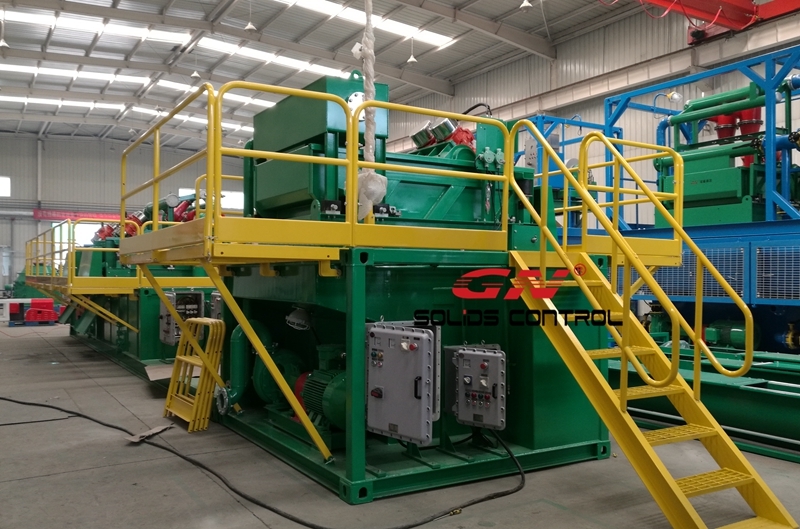 It’s known that GN Solids Control manufactures different types of shaker screens. 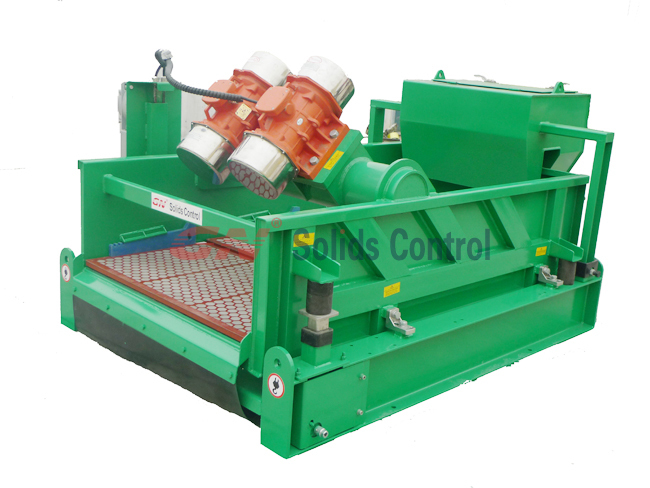 GN Solids Control Metal Frame Shaker Screens and Composite Frame Screens are both widely accepted by global customers. 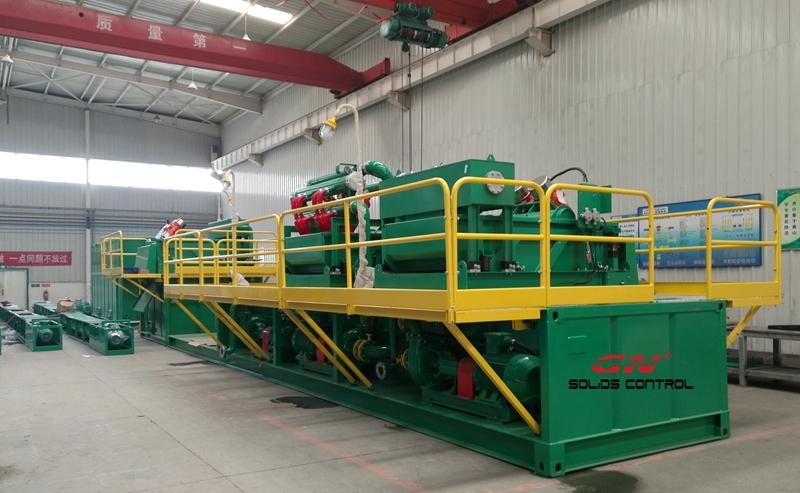 GN Solids Control made composite frame shaker screens are more cost effective. Shaker tank is fixed with 3 sets GN Hi-Cap shaker. A box type mud distributor is used to connect these 3 sets tank together. 2x 75kw(100HP) Centrifugal pumps are fixed on the tank bottom to feed Large Desander. Fixed with 2 sets GN703 shakers, each one fixed with 2 sets 20inch cyclones. 2x 75kw(100HP) Centrifugal pumps are fixed on the tank bottom to feed Small Desander. Fixed with 2 sets GN703 shakers, each one fixed with 3 sets 10inch cyclones. 2x 75kw(100HP) Centrifugal pumps are fixed on the tank bottom to feed Desilter. Fixed with 2 sets GN703 shakers, each one fixed with 20 sets 4inch cyclones. Cyclones are fixed in a circle to save working room. 2 centrifuges in total, each one is fixed on skid for lifting. Here GN Solids Control provides 2 sets 22inch bowl size decanter centrifuges. GN Solids Control also provides larger bowl centrifuge upto 30inch. All the above tanks or skids are around on 6m length mud tank. Tank is also fixed with mud agitator to keep slurry from sediment.